Our catering team are amazing! Vanessa and Annette are very much a part of the Langar family and are thought of in that way by staff, pupils and parents. Vanessa and Annette are so much more than cooks. They are incredibly accommodating and flexible both within the role, such as managing children with dietary requirements or even liaising with parents who are concerned about a child’s personal tastes, and outside of the role; catering for themed days (such as a Victorian day), the Christmas Fair and community dinners as part of Christmas dinner. At this present moment we are hosting Chinese teachers as part of Nottinghamshire Maths Hub and have accommodated up to 50 teachers a day from other schools who have come to observe maths lessons. Vanessa and Annette have been so helpful with this. Sorting out hot water and drinks, organising cups to be put out and then washed up. Their contribution have made the experience run smoothly for our pupils and staff and has ensured our guests have felt warmly welcomed to our school. Ellie in year 6 said, ‘Mrs Selby knows me really well. She knows I don’t like potatoes and cooks rice or pasta for me instead.’ And Meg pointed out that ‘Mrs Selby remembers what my favourite meal is! She always tells me if when it’s vegetarian sausage roll and magic chocolate pudding.’ In the midst of a crisis they remain cheerful whilst finding a solution. When the gas went down, they did a dash to Lidl and sorted out a wonderful picnic lunch for children of sandwiches, salad, fruit and a muffin! Dinner here is a family service and this is favoured by our school community who love the family values that this instils. 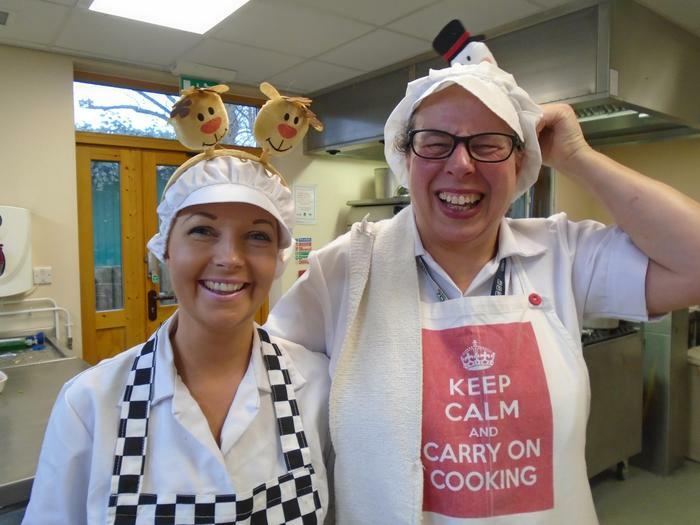 The set up encourages children to be kind, caring and fair, setting an example to other children on the table, this behaviour is also modelled by the catering team. Vanessa gives freely of her time to provide cooking sessions for very child in school across the course of the year through our Let’s Get Cooking sessions that she runs as a team with one of our HLTAs. This is really appreciated by staff, children and parents. The children benefit enormously from this, learning about a healthy diet and recipes that they can easily replicate at home. Vanessa and Annette really deserve to be recognised for the work they do here and the positive contribution they make to school life.